We have entered a new and exciting phase where we are nurturing and developing a new Arts program through an engaging and fulfilling program in Music and Instrumental Music. Students are engaged in a Class Music program enriched with an Instrumental Music program in cohort with the Instrumental Music School Services (IMSS). Opportunities and experiences in Arts - Music will be many and varied covering a rich scope of learning activities and events in engagement and performance. It will include listening and composing skills and immerse our students and school in all of the elements of Music and how they interact. Students who have been involved in the IMSS instrumental lessons in primary school will be provided an opportunity to continue their lessons at Balcatta Senior High School. Those who have learned an instrument privately may be considered for a position in our program where this sits within the guidelines and policy of classroom numbers and available instrumental teachers. We extend a warm welcome to students and families already involved in musical pursuits who would like to access our high quality vision for Arts education at Balcatta Senior High School. Daniel graduated with a Bachelor degree in Science and Health & Physical Education at Edith Cowan University in 2012. In 2013, he attained a diploma in Sound and Audio Engineering enabling him to engineer sound for the Dean Martin and Jerry Lewis Show, Perth Comedy Festival for Habib (Fat Pizza), Claire Hooper (Good News Week/Great Australian Bake Off) and many others. In 2015, Daniel built a home studio where he writes and records a lot of his music. Using his 15 years of guitar experience, he has co-written and co-recorded ‘Let Me Leave’ with his band Saviour (2017) which accumulated over 1 million plays on Spotify. Other singles recorded with Saviour include ‘Empty Skies and ‘Headstrong’. From 2014 to the present day, he has toured Australia on multiple national headline tours and international acts such as ‘Being as an Ocean’ and ‘In Hearts Wake’. Daniel’s latest release single/music video has accumulated 100,000 views on YouTube and he is currently in the middle of co-engineering and releasing a fifth studio album. Daniel has been teaching at Balcatta Senior High School across various subjects since 2014. His current role at the school is teaching Certificate II in Music Industry and Certificate II in Creative Industry (Music Focus). In the future, Daniel sees himself creating a culture of loving the performance element of music, knowing how infectious the feeling of music can be. School is where he found his love for performance and to be able to potentially facilitate that same feeling in others is really exciting and rewarding. In 2006, Erryn completed a Bachelor of Music Education from the University of Western Australia. 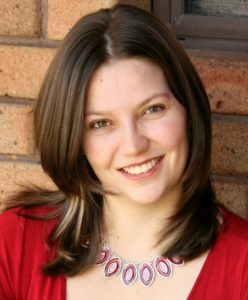 She currently works as an instrumental teacher with Instrumental Music School Services, teaching flute at a number of schools around Perth. Erryn strongly believes that music is a language that is learnt through experience. A well-renowned music educator once said, “Tell me, I forget, show me, I remember, involve me, I understand.” – Carl Orff. It is this philosophy of teaching that strongly influences her own personal teaching style. 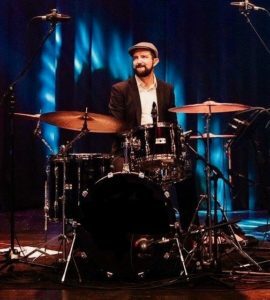 Greg Brenton is a drummer who holds a Bachelor of Music Performance in Jazz from the West Australian Academy of Performing Arts, A Post Graduate Diploma in Secondary Education and is currently studying a to attain a Masters Degree by Research in Education. He also has a permanent drum set teaching position with the Department of Education at the Instrumental Music Service. Greg has also taught Contemporary and Jazz drum set at WAAPA, along with several of Perth’s larger private schools. Greg has played, recorded and toured nationally with such bands as The Roast, The Mace Francis Orchestra, The Hounds, Stingray, Paul Gioia Band and Fat Sparrow. Other notable credits include performing with Jim Pugh (world reknowned trombonist for Steely Dan), Brian Mannix (Uncanny X-Men), Sean Kelly (The Models), Lucky Oceans (The Zydecats and Asleep At The Wheel) and singer Geoffrey Gurrumul Yunupingu. He has performed several times at the York Jazz, Wangaratta Jazz, Fairbridge Folk, Perth International Jazz and Bridgetown Blues Festivals. In addition to this Greg has played for critically acclaimed musicals Waltzing The Willara and Menopause The Musical. Current musical engagements are extremely varied and Greg has regular performances with corporate party band Proof, contemporary jazz big band The Mace Francis Orchestra, blues singer Harry Deluxe in her current outfit Mama Red and The Dark Blues, art rock band Fat Sparrow, and Triple J Unearthed Candidates The White Orcas. This is along with a very busy freelance drumming schedule and other gigs as a guitarist, singer and songwriter with a couple of contemporary music projects. After graduating from high school in 2010, Kezia studied for two years at the Central Music Institute of Technology completing Certificates III & IV and a Diploma in Music Performance. She graduated from Edith Cowan University in 2016 with a Bachelor of Education (Secondary) majoring in Music, minoring in Instrumental Music. Kezia has had vocal training for more than ten years. Kezia studied flute during high school and plays guitar, piano and, more recently, the ukulele. 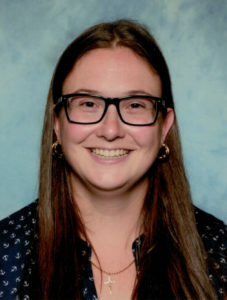 Kezia is currently working at Kiara College and Balcatta Senior High School, teaching classroom music and voice (through Instrumental Music School Services). Steven has been playing and teaching guitar for over thirty years. He has experience teaching both electric and classical guitars, conducting ensembles and directing contemporary bands. He has previously worked in the private school system where he taught for over 25 years. 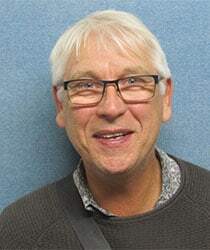 Steven has recently completed further university studies and has been teaching for the Department of Education for the past 18 months.